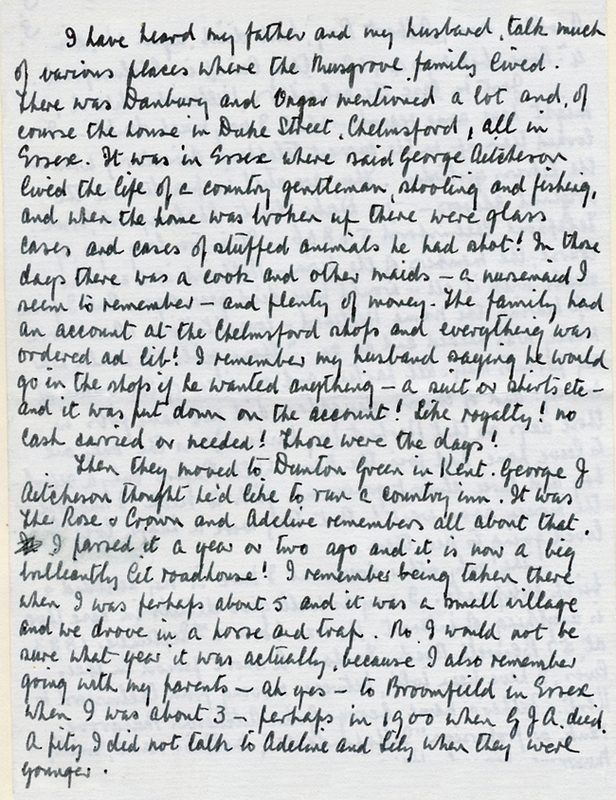 A recently rediscovered letter from Ivy Musgrove to Dave Wilson includes her reccollections of the Musgrove's in Chelmsford in the 1890's. There are some inacuracies which is understandable with half remembered family stories. The letter gives an interesting insight into family life at the time. We dont believe the Musgrove's ever lived in Duke Street although their Solicitor was based here. Her husband Herbie remebered shopping on account in the town. Ivy also mentions visiting Broomfield when she was 3 years old in 1900. This would probably be for the funeral of George John Aitchison Musgrove.